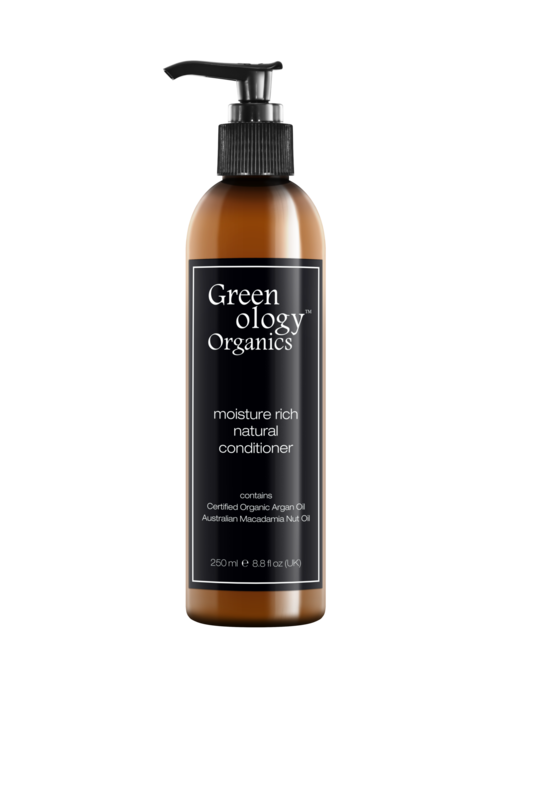 GREENOLOGY ORGANICS MOISTURE CONDITIONER 250ML – HAIRDEPOT - Hair & Scalp Care Products, Prevent Hair Loss, Shampoo, Conditioner, Treatment, Styling, Appliances and more! Moisture rich sulphate-free shampoo, infused with ‘Argan & Macadamia Nut Oil’. The best natural and organic hair shampoos which fortify hair strands with parabens-free, sulfates-free. Natural hair shampoos with certified organic ingredients to restore dry/damaged hair, for healthy/glossy locks, and to promote a healthy scalp.